Applications for this cohort must be submitted by January 15. Phase 2 will be held on March 5, 6 and 7 (a three day event) tentatively scheduled for the Turf Valley Conference Center just outside Baltimore, MD. More information will be provided to Candidates who are accepted into this cohort. Applications for the April Phase 2 Cohort must be submitted by February 15. Phase 2 will be held on April 16, 2019 in the Pittsburgh, PA area. This location for this one day in-person session has not yet been established. More information will be provided to Candidates who are accepted into this cohort. Applications for the May Phase 2 Cohort must be submitted by March 15. Phase 2 will be held on May 21, 2019 In Winchester, VA. This location for this one day in-person session has not yet been established. More information will be provided to Candidates who are accepted into this cohort. 2019 ROMA UPDATE!! For all certified Trainers and Implementers. The annual Update ensures that Certified ROMA Professionals remain current and updated in the issues and topics relevant to their work as ROMA Advocates. This session provides the opportunity to network -- sharing lessons learned from practice and discussing issues related to challenges. Representatives from national partners will join us and provide information on current status and emerging trends. Register on line at www.roma-nptp.org under the R3PIC Update tab after April 15. ROMA was created as a “performance-based initiative designed to preserve the anti-poverty focus of community action and to promote greater effectiveness among state and local agencies receiving Community Services Block Grant (CSBG) funds.” (Monitoring ad Assessment Task Force report to the Office of Community Services.) It was Community Action’s response to the measurable outcomes called for in the 1993 Government Performance and Results Act. ROMA was applied to the network in 1996, with formal direction issued by OCS in 2001 in Information Memorandum 49. Since that time, a sophisticated curriculum was developed and refined by Dr. Barbara Mooney, before and during her time as Training Director at CAAP, and Frederick Richmond of the Center for Applied Management Practices. Dr. Mooney is now the Executive Director of the Association of Nationally Certified ROMA Trainers (ANCRT), which houses ROMA information and coordinates training across the United States. Additional background information may be found a on the ANCRT site. 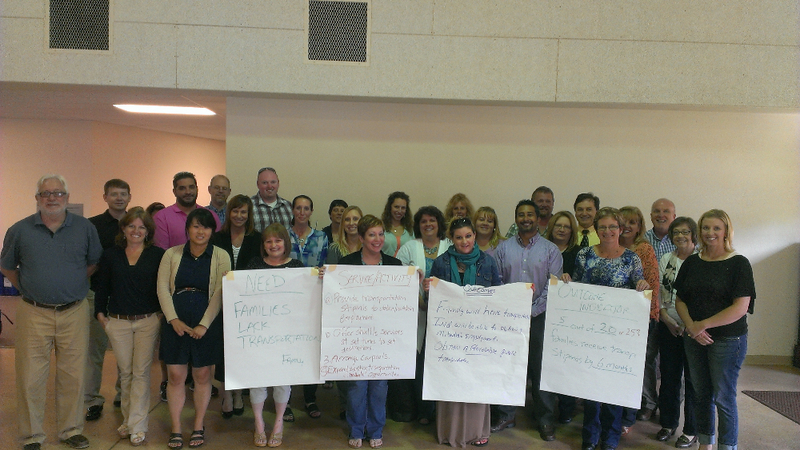 ROMA training for local agency board and staff can be coordinated through Dan Leppo, CAAP’s Development Director and a Nationally Certified ROMA Trainer. Dan will work with the local agency and other NCRT’s to establish a date and see that materials are shipped to the agency for on-site training. The local agency is responsible for the travel costs of the NCRT’s. ROMA training for staff is an all-day training, typically conducted with 3 or 2 trainers who lead the staff through seven modules that build an understanding of ROMA principles and practices to be incorporated into agency operations. We also offer statewide training for multiple agencies’ staff, please refer to the information following the Board training section. Board training is not quite as intense as the staff training. 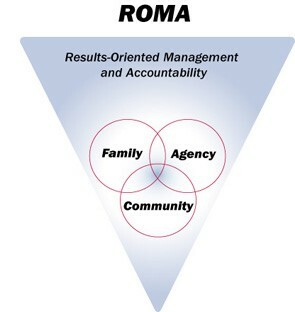 It is important that the board members understand the reason ROMA should be part of agency operations, its context within Community Action, and be able to follow-up with the executive with how it is incorporated into agency practices, but they do not need to know the practices as staff learns during the modules. Board training may be conducted in one of two ways: on-site with an NCRT or viewing a video developed by CAAP. The on-site training typically precedes or follows a staff training with the trainer providing an approximately one-hour overview of ROMA. Without an NCRT present, the board may also view the ROMA for Board: An Introduction video, but the minutes of the meeting should make note of a review and discussion of the key points following the viewing, indicating the board’s comprehension of ROMA.